Below are all the articles which were published in October 2018. 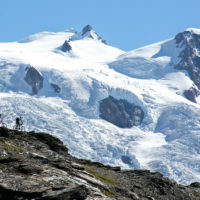 The Tour of Monte Rosa is 5 days of pioneering mountain biking around one of the most spectacular 4000m peaks in the Alps. A tough trip with big climbs and sustained technical singletrack.